In February 2013 up in the attic bedroom of our student house, Football History Boys Gareth Thomas and Ben Jones, with the help on contributor Ollie Jackson, decided it was time we did something about the question, 'Who is the best player in the World?'. Housemate Liam suggested setting out to find the greatest 50 players of all time, this swiftly grew to 100, 150 and 200 before we settled on 250. 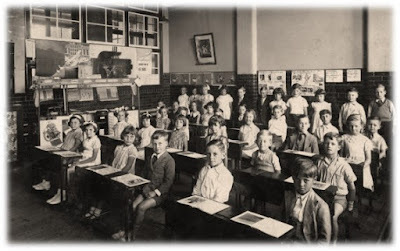 Our original website www.top250.webs.com is still there to answer the debate but we furthered our work to blogging about the beautiful game starting up www.thefootballhistoryboys.blogspot.com. Without further ado here is the TOP 10! INTERNATIONAL HONOURS: 2x FIFA World Cup, 2x Copa America, 1x Confederations Cup, 1x Olympic Bronze Medal. "Ronaldo, just pips his namesake to the top 10 of the #TFHBTop250. A quite incredible player and perhaps the first global superstar I can remember seeing on the television in 1998. The list of clubs he has played for exemplify just how good he was - Barcelona, Inter, AC Milan and PSV, Cruzeiro and Corinthians. But it was his time at Real Madrid for what I shall most remember him. After the controversy surrounding the 1998 World Cup Final and two horrendous injuries in the subsequent years, people could be forgiven for believing his career was at an end. However, his comeback to football was truly astonishing, winning the World Cup in 2002 (scoring 8 goals along the way) and establishing a quite brilliant record at the Bernabeu in the famous "Galacticos" side. His hat-trick at Old Trafford in 2003 will go down as my fondest memory, receiving a standing ovation from the opposition supporters and truly becoming one of the greatest players of all-time." "What should not be forgotten is that Ronaldo had that, too. He commanded attention, enraptured the eyes. He was a blur of motion, a fusion of power and grace. Dating back the world's best player is a curious business, but it seems just to suggest that Ronaldo was the finest footballer of the 1990s. Even when he travelled as a teenager to Leeds with PSV Eindhoven in 1995, before the Nike deal and before the legend was born and sold, he created that excitement. Had knee injuries not curtailed the prime of his career, Messi would have inherited the tag of best player in the world not from Zinedine Zidane or Ronaldinho, but from the original Ronaldo, the best Ronaldo." "The best player I have ever played with? That's Ronaldo, il Fenomeno, The other Ronaldo - Cristiano - probably makes my top five, but I have seen il Fenomeno do things that nobody else has ever done." "When Ronaldo Nazario de Lima finally called time on his playing days in February 2011, it was after an 18-year career of remarkable sporting success and more than his share of devastating injuries. While he made great use of his considerable strength and pace, it was his natural goalscoring ability that he is best remembered for. The Rio de Janeiro native plundered opposition defences with clubs sides in the Netherlands, Spain, Italy and his homeland, while at international level he was a member of Brazil's squad at four FIFA World Cups™, twice collecting winners’ medals." "Ronaldo was my hero, I loved watching players like [Zinedine] Zidane, Ronaldinho and Rivaldo but Ronaldo was the best striker I've ever seen. He was so fast he could score from nothing, and could shoot the ball better than anyone I've ever seen." "What can be said about Paolo Maldini? Anyone who followed football in the 90s and 00s know all about this guy. The epitome of a one club man with over 900 Milan appearances in over 20 years you just can't dislike him! His notable honours show a list unmatchable by the 99% of the rest of world football as does his 5 UEFA Champions Leagues. The great man was a football addict, when he wasn't on the training pitch he'd spend the rest of his life watching other games or pouring over old performances looking for anything that could give him that extra edge. 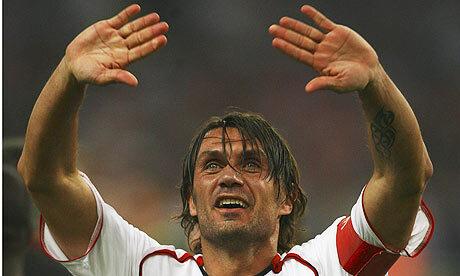 Paolo Maldini, a legend in every sense of the word and a justified 9th in our Top 250 Countdown!" "Maldini is the symbol of Milan. He brings continuity and he has represented the antique and the modern." "It is outstanding what he has achieved at this level at his age. He is a world great, one of the best of his era. He has won the whole lot in his career, with five European Cups now. He will be remembered for a long time." "He has a wonderful presence, competitive spirit, athleticism, and although not the world's greatest technically, he has influenced all the Milan teams during his wonderfully successful era." "Eusebio is the first player of the TFHB Top 10, who Gareth or I did not have the sheer honour to watch live. From what we have seen on YouTube and other sites it is clear that Eusebio was a legend in his own right. Following his passing earlier this year, we have seen more and read more on the great man, what he stood for and what he gave to the world of football. For one he was part of Bela Guttmann's Benfica side which ended the Real Madrid dominance of the European Cup and later went on to star for Portugal at the 1966 World Cup - memorably scoring four goals to squeeze his nation through against a stubborn North Korean side. One thing is for sure - Eusebio will never be forgotten!" "Eusebio, the explosively powerful and prolific “Black Panther” of Benfica and Portugal throughout the 1960s and into the ’70s, was a truly great footballer, fit to take his place in any company, in any era. The first globally famous player to emerge from Africa, the lithe Mozambican averaged better than a goal a game in more than 600 appearances in all competitions for Benfica, and was the European Footballer of the Year for 1965. He appeared in four European Cup finals, though he finished on the winning side only once, and helped to lift 11 domestic titles while gracing the international stage as Portugal’s key man for more than a decade. 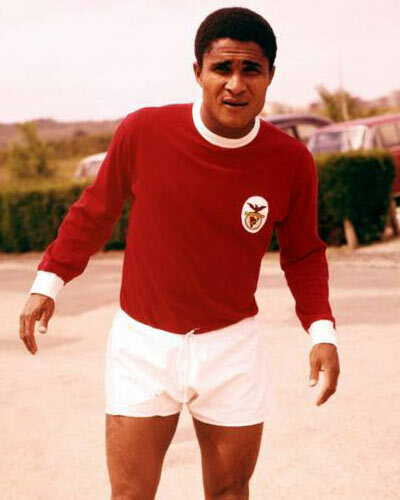 In later years he became a global ambassador for Benfica; a statue of the Mozambican now stands at the entrance to the club’s stadium, and invariably his name crops up whenever lists are compiled of the best players of all time – all just deserts for the pure and instinctive footballing genius that was Eusebio." "Eusébio, who has died aged 71, was the greatest African footballer in the history of the game. He moved from his native Mozambique to the Portuguese club Benfica in 1961, blazing a trail from poverty to stardom that scores of young African footballers would follow, though none since has played with such grace or reached the benchmark he set. He was the prototype of a complete 21st-century striker, decades ahead of his time; a superb athlete (he ran the 100 metres in 11 seconds at the age of 16) with explosive acceleration who could leave defenders trailing in his wake. He could also dribble, was good in the air and possessed a fearsome and highly accurate right foot. His scoring record was astonishing. In 15 years at Benfica he scored an incredible 473 goals in 440 competitive games, plus many more in friendlies. He was top scorer seven times in the Portuguese league and was European Golden Boot winner twice. In his only appearance in the World Cup finals, in England in 1966, he won the Golden Boot for top scorer of the tournament, with nine goals in six games." "I met him on numerous occasions after our playing careers had finished and he always represented both his club and his country in exemplary fashion. I feel proud to have been both an opponent and friend." "I think he is immortal. We all know what he meant for football and especially for Portuguese football. He was not only a great inspiration but also an important figure in upholding the values, principles and feelings of football, even after finishing his career." 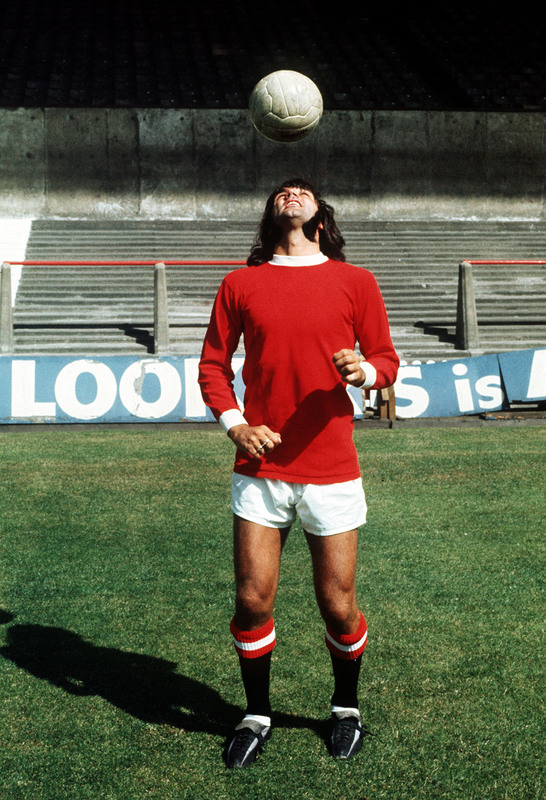 "Few would argue that George Best was the most naturally gifted footballer Britain has produced. Speed, balance, vision, superb close control, the ability to create chances and score from seemingly impossible situations tells half the story. The other half was an uncontainable zest for the game as it should be played, a ceaseless trickery and joy. Pelé, for his part, dubbed United’s no.7 "the greatest player in the world"." Manchester United - "Legends"
"Two years ago, I was trawling my way through Bleacher Report's top 100 players of all-time (did not include current players) and to my surprise found lying at number one - Johan Cruyff. I was intrigued, obviously I knew about the Dutch master's talent, but had assumed Maradona or Pele would be triumphant. From then on I looked more and more into the man himself, on YouTube and through various forms of football literature. Cruyff was a connoisseur of Rinus Michel's 'total football' winning three successive European Cups and coming agonizingly close to World Cup glory in 1974, in a tournament he lit up - meaning he would go down as one of football's greatest ever talents. Oh yeah...and there is the small matter of a certain 'Cruyff turn' - I'll let the footage do the talking!!" "If Holland were the team that gave the world Total Football, then Johan Cruyff was THE Total Footballer. Cruyff was one of a number of youngsters who emerged with Ajax of Amsterdam in the late Sixties and came to dominate European and world football in the early Seventies. Cruyff was the most outstanding of them all and was seen by many as the natural successor to Pele as the world's greatest player. He won a hat-trick of European Cups with Ajax, the World Clubs' Cup and was three times European Footballer of the Year. 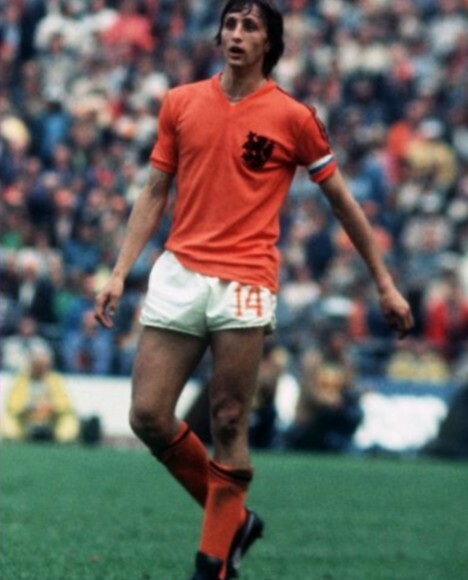 At their peak, the Dutch side he captained were the most exciting and talented team in international football, yet, strangely, they never won a major trophy during his reign. 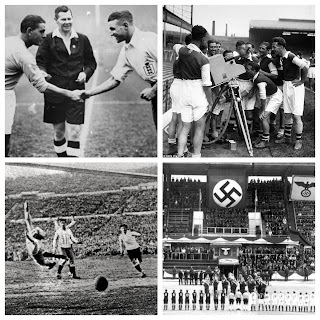 Total Football was not a new idea when the Dutch picked it up. It had been around since the Fifties when it was known as The Whirl. But it was first Ajax then Holland that brought it to prominence. The idea was to build a team in which all of the players had equal levels of technical ability and physical strength. In its execution it meant that all the players were capable, at any point in a game, of switching into each other's roles as circumstances demanded. Anyone could do anything. Defenders became forwards, forwards became defenders. Strictly speaking, Cruyff played centre forward in this system. But he would drop deep to confuse his markers or suddenly move to the wing with devastating effect. Once there, according to the reference book Soccer: The World Game, "a favourite trick out on the left-wing was to drag the ball behind him with his right foot, turn through 180 degrees and accelerate away outside a bemused defender." No one had seen a centre forward like that before." "Whoa whoa whoa...all you Pelè and Maradona devotees, put down the axes and pitchforks and listen to me. The reasoning behind my choice for numero uno doesn't come down to purely technical abilities or international exploits: you can still safely say that both Pelè and Maradona were better (but just barely) individual players, but neither bequeathed anything as as revolutionary or enduring as Cruyff's vision of "Total Football": a style of play characterized by "tiki-taka" passing, commanding possession and the interchangeability of the outfield players now particularly in evidence at Barcelona." "Throughout my career I've simply tried to instil what I learned from Johan Cruyff. He has had the biggest influence on football out of anyone in the world, first as a player and then as a coach. He taught me a lot and you can see that in the fact that so many of his former players are now coaches, because he made sure his love for the sport got through to us. He's very special to us." 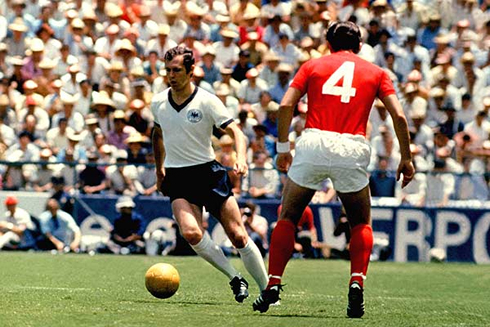 "Franz Beckenbauer is the only man to have won the World Cup both as a player and as a manager. His roll of honour is unique. Captain of West Germany when they won the World Cup and the European Championship, he also led his club, Bayern Munich, to three successive European Cups and also to the European Cup Winners' Cup. But it is not just for the medals and trophies that Beckenbauer is remembered. Rather it is for the style and the genius. Every movement he made on the pitch bristled with elegance. There was an arrogance in his play that suggested he was always in command - "Emperor Franz" and "The Kaiser" they called him. But more than that, he was a great thinker about the game and brought about a revolution in the way it is played by inventing the role of the attacking sweeper. "WOAH!?!? Diego Maradona only comes in a number 4!? The TFHB Top 250 was a public vote and perhaps it was popularity over sheer talent which prevails. When I was growing up there was always two names in football which I heard before any others, Pele and Maradona. 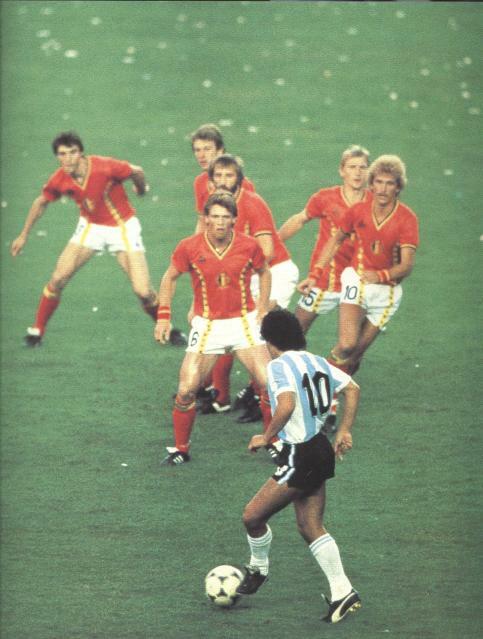 Maradona was a genius - simple as. He played for giants such a Boca Juniors and Barcelona, but he will most remembered for his time at Napoli winning the Serie A title twice for a team who before he arrived were never even contenders. 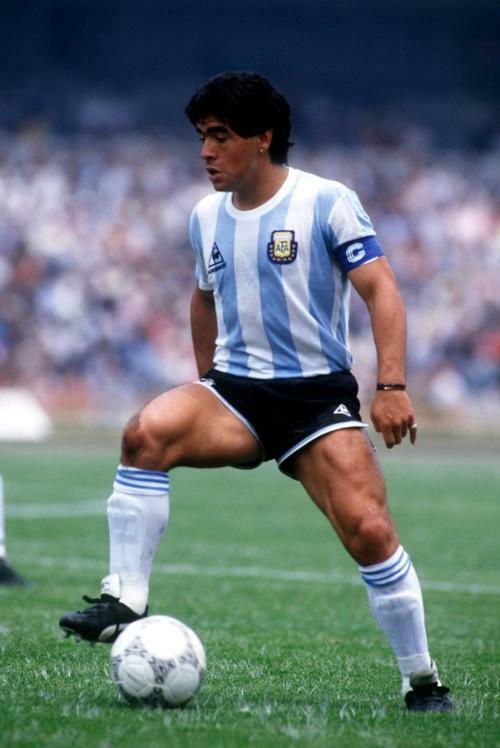 The 1986 World Cup was the pinnacle of a sometimes controversial career, where he almost individually guided his beloved Argentina to glory in Mexico. 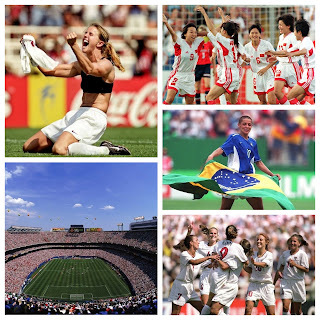 The quarter-final victory over England is now remembered as one of the most famous of all-time. Four minutes after his infamous 'hand of god' goal, Maradona skipped past 5 England defenders and goalkeeper Peter Shilton to score a goal of such genius, skill and desire - the world really did stand still. Surprisingly his trophy cabinet is rather baron in comparison to others in the top 20 - but take nothing away, Diego Maradona really was one of the greatest players ever." "Arguably the greatest player the world has ever seen left Barcelona in 1984 as a 24-year-old and entered himself into the hearts of Neopolitans everywhere, lifting them to their only Scudetti in 1987 and 1990. Rarely ever has there been a more influential player in a team sport." "Glorious and tragic, gifted and flawed, he once scored a goal with his hand and he splits opinion but he really should not. As the World Cup carnival prepares for a return to Latin America for the first time since 1986, it is a good time to rejoice in what made him so special. Maradona the footballer personifies the game’s spirit of joy and adventure; a master of its ultimate skills to dribble past opponents with the ball and score goals. He dared and he had trickery, mischief and unpredictability." "Maradona is still worshipped in Naples, both for how he gave a depressed city hope for a short time and for his resemblance to the scugnizzo, the Neapolitan street urchin. He did not score as often as Pelé and Messi – just over a goal every two games. He did not have their apparently squeaky clean image. His life off the field was often a disaster and sometimes a disgrace. As a result his reputation has suffered. But despite everything, on the field he was the greatest." "Everyone has an opinion on Diego Armando Maradona, and that’s been the case since his playing days. His magnificent performances and extraordinary goals at Mexico 86 will live forever in the memories of all football lovers, myself included. My most vivid recollection is of this incredibly gifted kid at the second FIFA U-20 World Cup in Japan in 1979. He left everyone open-mouthed every time he got on the ball. And at the age of 50 he still has many years in which to keep showing us his talent"
"Edson Arantes do Nascimento. 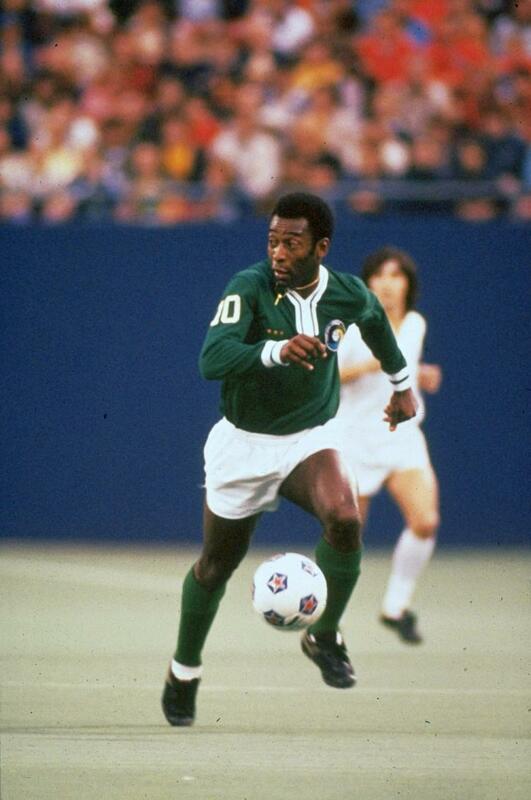 Pele. O Rei. Whatever the name, the memory is the same: of a world-beating superstar, a record-breaking football icon. 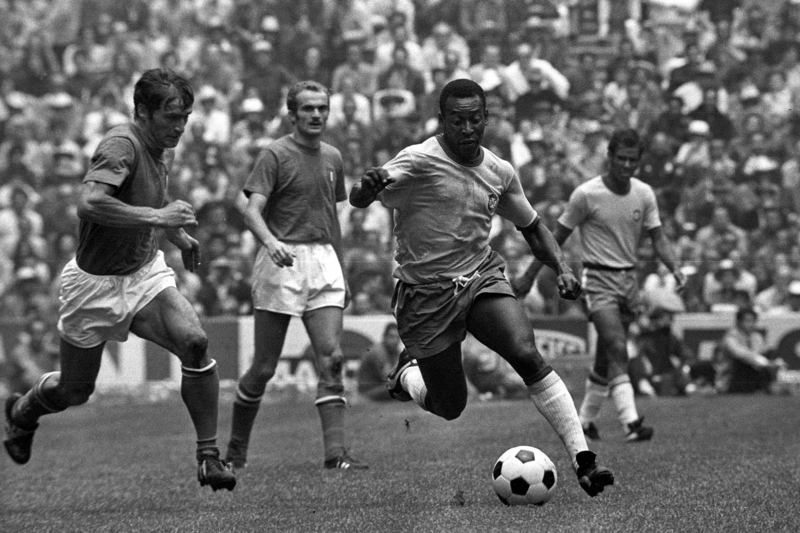 Above and beyond his unequalled achievement in winning three FIFA World Cups, Pele was a genius who was constantly reinventing the game of football. "I told myself before the game, 'he's made of skin and bones just like everyone else' - but I was wrong." Tarcisio Burgnich - Italian defender who played against Pele in WC 1970. Other Notable Honours: FIFA Ballon d'Or (2010, 2011, 2012), Ballon d'Or (2009), FIFA World Player of the Year (2009), World Soccer Player of the Year (2009, 2011, 2012), World Soccer Greatest XI of All Time (2013), Onze d'Or (2009, 2011, 2012),European Golden Shoe (2010, 2012, 2013), UEFA Best Player in Europe Award (2011), UEFA Club Footballer of the Year (2009),FIFA Club World Cup Golden Ball (2009, 2011), UEFA Champions League Final Man of the Match (2011)UEFA Champions League Top Goalscorer (2009, 2010, 2011, 2012)FIFA U-20 World Cup Player of the Tournament (2005), LFP Best Player (2009, 2010, 2011, 2012, 2013), La Liga Player of the Year (2009, 2010, 2011), Pichichi Trophy (2010, 2012, 2013), LFP Best Forward (2009, 2010, 2011, 2012, 2013), FIFPro World Young Player of the Year (2006, 2007, 2008), World Soccer Young Player of the Year (2006, 2007, 2008), Bravo Award (2007)Marca Legend Award (2009), ESPY Best International Athlete (2012), FIFA/FIFPro World XI (2007, 2008, 2009, 2010, 2011, 2012, 2013), UEFA Team of the Year (2008, 2009, 2010, 2011, 2012), Copa América Young Player of the Tournament (2007), Argentine Sportsperson of the Year Award (2011), Olimpia de Plata (005, 2007, 2008, 2009, 2010, 2011, 2012, 2013). It is my absolute pleasure to get to write about Messi for the TFHB Top 250 - a player who without doubt is one of the greatest I have seen live. From his breakthrough season in 2005-6 we all knew he was going to be special. Despite being in a team with Ronaldinho, Xavi and Iniesta, Messi shone brighter than all three. 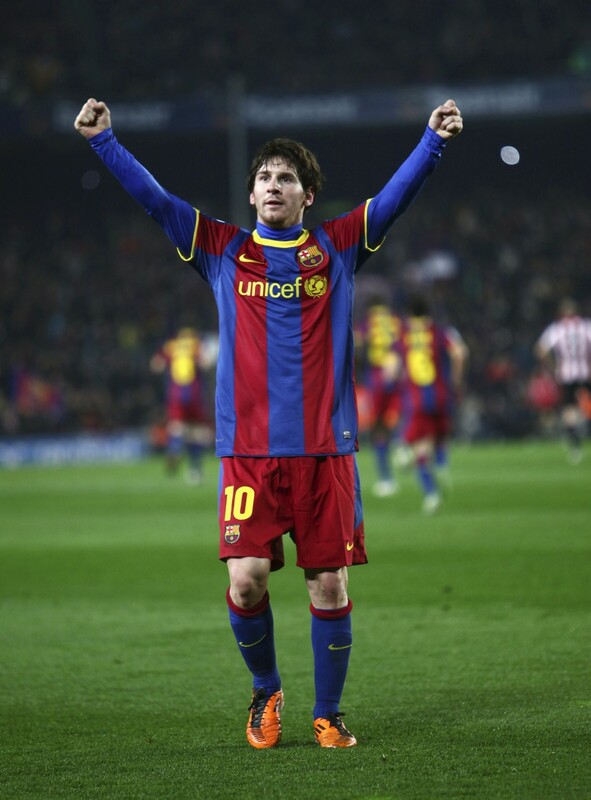 After 3 seasons of moderate success under Frank Rijkaard, Messi became the World's greatest player following the arrival of Pep Guardiola to the Camp Nou. Pep placed Messi in the centre of the front three (he had previously been a winger) and the goals started flooding in. To date he has three Champions League winners' medals to his name, something few modern players can boast as well unrivaled domestic success with Barcelona. But what strikes me most is the nature of the man. In a footballing world dominated by egos and a distance from 'real life', Messi has brought with him a genuine sense of modesty to his genius. His response to critics is equally as impressive - this year (2014) is the first he has received any real criticism, and his response was a hat-trick at the Bernabeu to defeat rivals Real Madrid 4-3. Can Leo cement his place in history with a World Cup win this summer? I wouldn't bet against it! "Messi is the best in the world right now. He has been playing at a level we've never seen anyone else playing before. I'm always proud of speaking about Leo, because I was right there with him, when he started his professional senior career in Barcelona. He's now the best football player in the World and that just makes me tremendously happy!" "Messi is class. There is him, and then there is the rest. What he does is extraordinary — he demands admiration." "I feel sorry for those who want to compete for Messi's throne — it’s impossible, this kid is unique." "In my entire life I have never seen a player of such quality and personality at such a young age, particularly wearing the 'heavy' shirt of one of the world's great clubs." "Leo doesn't need to win the World Cup to be considered the best player ever, I say that for those who demand he wins the World Cup to be considered the greatest ever in history. He's decisive in every game he's played in for six or seven years." "I prefer to win titles with the team ahead of individual awards or scoring more goals than anyone else. I'm more worried about being a good person than being the best football player in the world. When all this is over, what are you left with? When I retire, I hope I am remembered for being a decent guy." 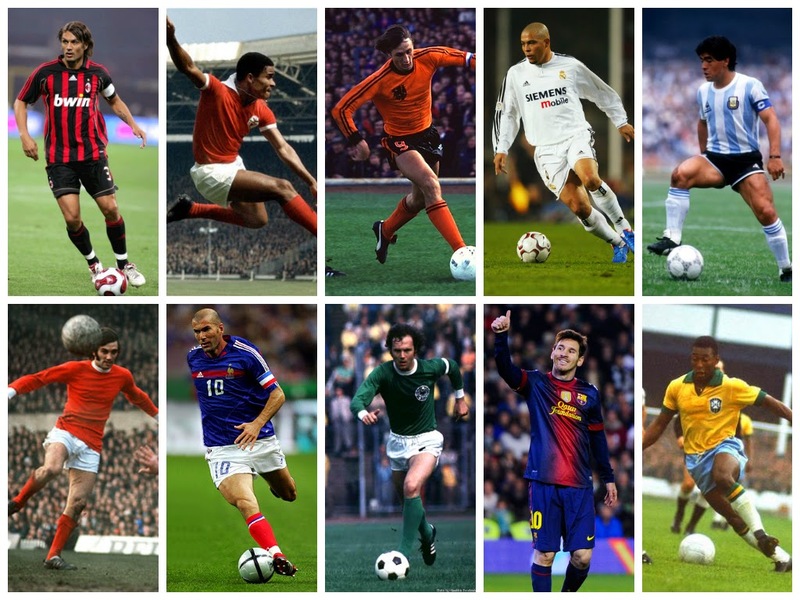 Leave your memories of RONALDO, MALDINI, EUSEBIO, BEST, CRUYFF, BECKENBAUER, MARADONA, PELE & MESSI in the comment section below!